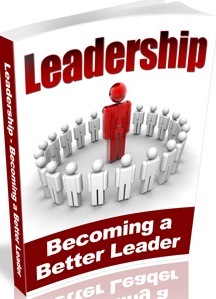 Defining leadership will give you an understanding on the concept of true leadership. I believe there is a leader in everyone waiting to serve his or her generation. Everyone was born to lead but you must go through a process to become a leader. Just as every seed was created to become a tree and bear fruit. There is a tree trapped in every seed, but in other for the tree to come out of the seed it must be submit to a, which means it must be put in the soil, it must be given moisture, nutrients and sunlight. You are born a leader, but you must become a leader through a process. 1) Leadership is not about control but service. A leader is not one who controls people, organization, community or department. He helps his followers become better people. 2) Leadership is not about power but empowerment. It is about helping others become great, helping others discovers their purpose and potential. It is helping others believe in themselves and pursuing a worthy cause. 3) Leadership is about inspiration and not manipulation. Leaders inspire people through their inspiration. When you become inspired about your vision, it transfers to the people around you. When you cannot inspire people, you manipulate them. The problem is, one's you manipulate people, you are no longer a leader but a dictator. 4) Leadership is a pursuit of purpose and not people. Leaders are so consumed about pursuing their purpose and why they were born. They don't have the time to oppress people. Leaders are generated by a sense of purpose and not making people subject to them. 5) Leadership is about becoming, more than doing. Leadership is about discovering who you are and then deciding to become it. 6) Leadership is self-discovery and self-release. Leaders are always in competition with themselves and they won't rest until they become it. 7) A leader is someone who sees the end from the beginning and deciding to pursue it, even at the risk of being misunderstood. Leaders can handle high criticism. 8) Leadership is the capacity to influence others through inspiration, generated by a passion, motivated by a vision, birthed by a conviction, produced by purpose. 9) Leadership is a product of circumstances, pressure, difficult situations that force people to respond in a certain ways that displays some unique traits. 10) Leadership is a process of becoming your true self. 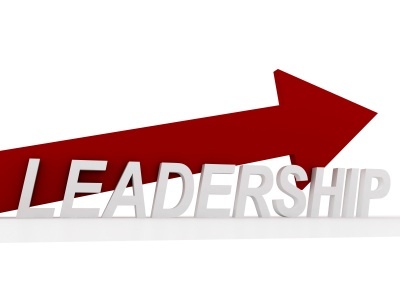 11) Leadership is the ability to direct other through influence to a common goal. 12) Leadership is responding to responsibility. 13) Leadership is the ability to direct the priorities of people towards a common cause. It is Organizing and coordinating the resources, energies and abilities to achieve a common vision. 14) Leadership is discovering a sense of significance to one's generation and making the commitment to accomplish it. 16) Leadership is not technique, style or theory, it is an attitude. Leadership is a connection of who you are and why you are on earth. The leader within you comes alive when you discover your purpose, your life’s vision and when you set to fulfill them without compromise.